Cats have been domesticated for thousands of years. It’s instinctual for a cat to go to a dirt- or sand-like area to use the bathroom. But have you ever wondered why they bury it after? In the wild, dominant cats don’t bury their waste as a sign of dominance and territory. Smaller and submissive cats may bury their waste as not to upset the other dominant cat. Either way, using the litter box often results in a mess—quite literally. Carefully selecting a kitty litter box can save you time and effort. Many of them have a unique design to help keep the cat litter inside and not scattered on the floor. The design can also minimize the odors and some boxes even allow you to forget about scooping altogether! To keep the surroundings of the litter box clean, you can also use a handheld vacuum. 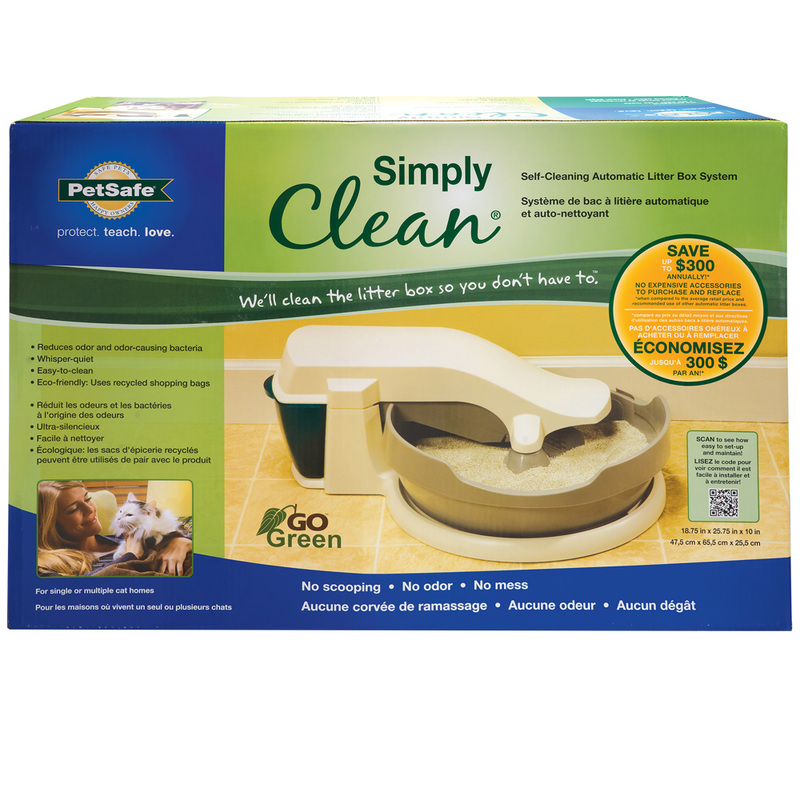 It will help you clean up the scattered litter – and keep that cat hair under control too! 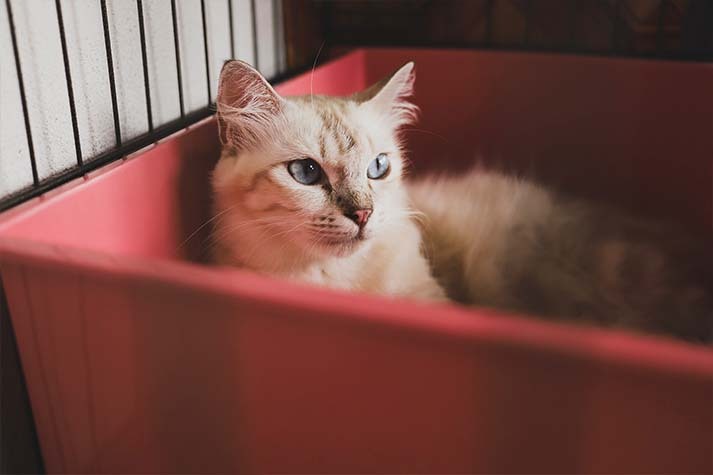 Instead of going through a dozen boxes to see which is best for you and your feline companion, take a look at some of our favorite kinds. 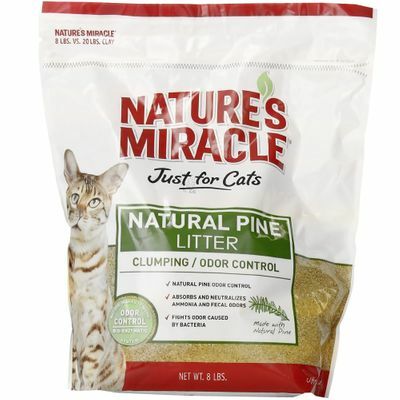 Nature’s Miracle is one of the top-selling pet supply companies in the nation which is why we ranked their high-sided litter box as one of our favorites. The high sides help prevent litter from leaving the box and its extra-large non-stick surface makes it easy for cleaning and offers plenty of room. If you’re looking for a box with a hood, Nature’s Miracle also has a matching cover. This also helps prevent litter from being kicked out of the box. 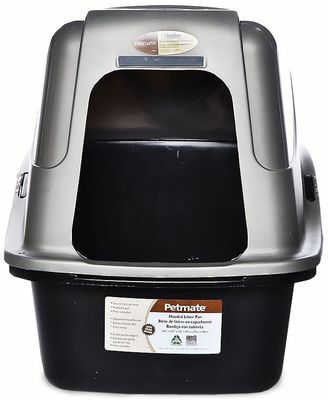 PetMate’s Top-Entry Litter Box deserves a mention because it’s a unique spin on the average litter box. The cat will jump on top of the box (the platform) and then exit through the top entrance. When finished, she will exit the same way by jumping out and onto the platform, where there are holes or slots to help catch any litter that comes up. 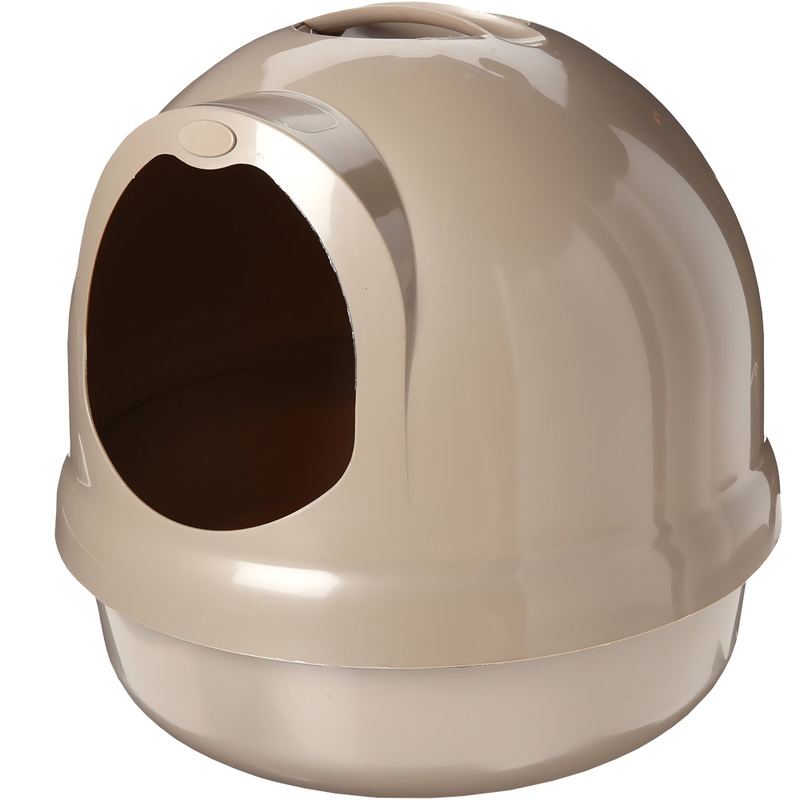 There are several brands that do variations on the top-entry litter box. 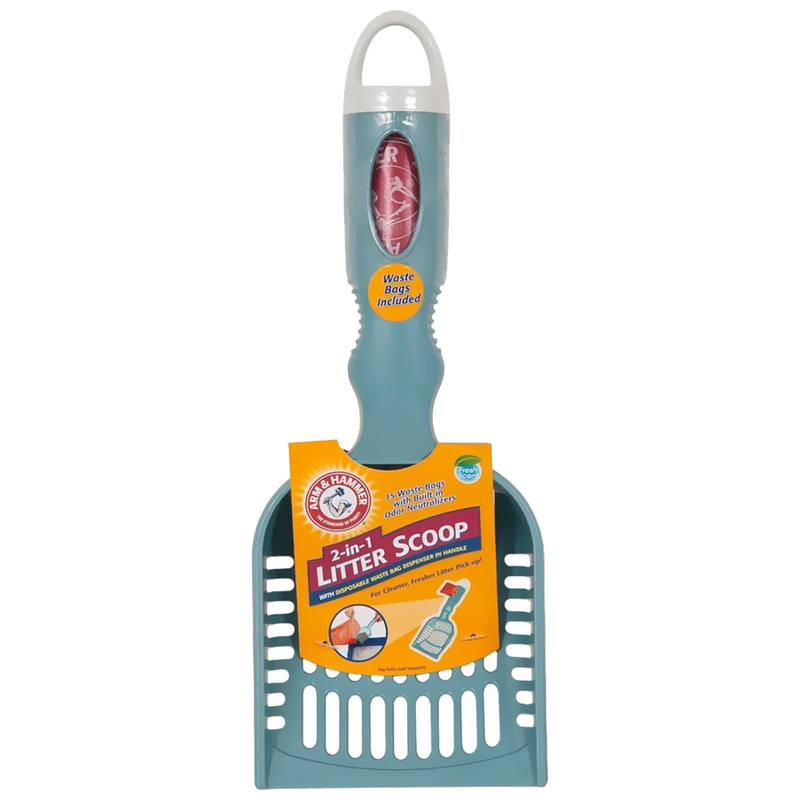 But this one helps prevent litter-scatter, so you are sure to see a difference when investing in one of these. If your cat is on the overweight side of the spectrum, then you know that you need a large pan to accommodate his large size. 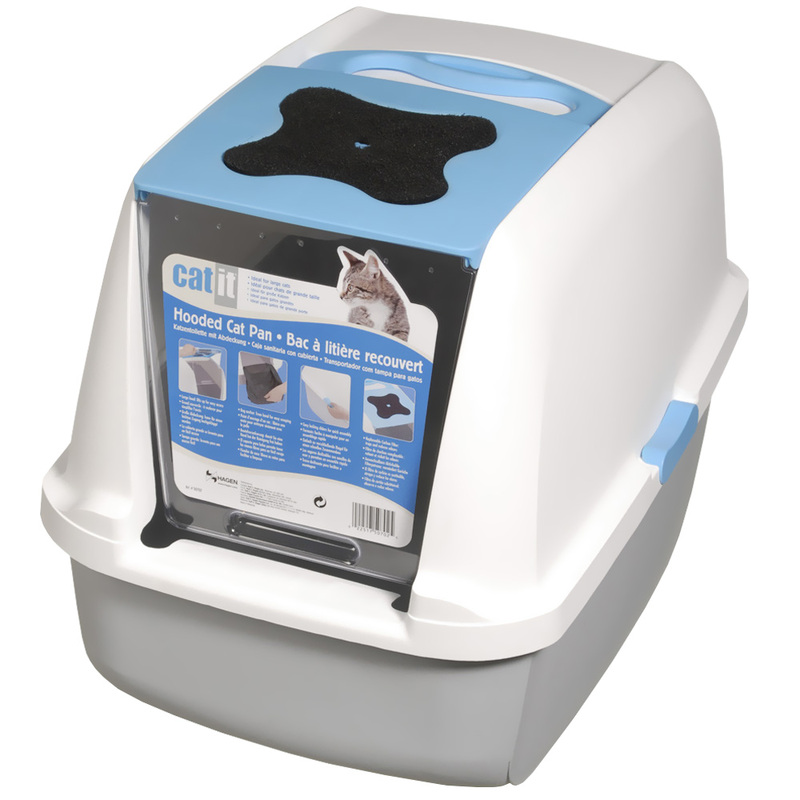 Catit’s Jumbo litter box is great for large cats at 22.4 inches long, 18.3 inches high, and 20 inches wide. They also offer a free sample of the Magic Blue Litter Box Filter. It’s supposed to filter out the nasty odors that get trapped inside of the box, so you don’t smell them in the same space. The hood unlocks from the tray easily which makes access to cleaning simple. It comes with a door that Fluffy can squeeze through and be at ease with privacy. For those who may be short on space or would rather their cat’s potty blend in with the surroundings is EcoFlex’s Litter Loo. It looks like an end table edition. 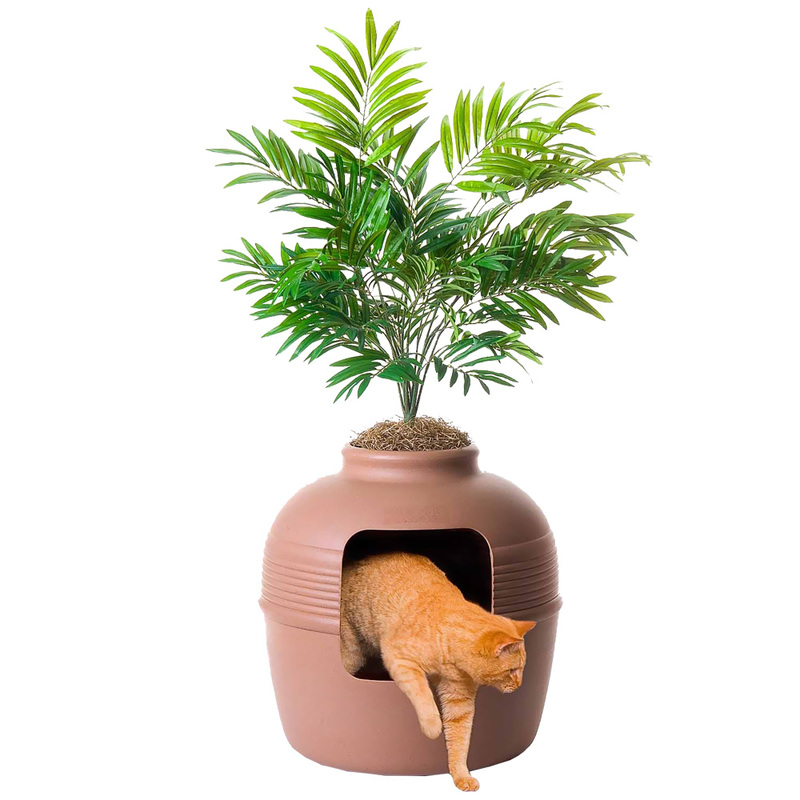 This does not actually come with a litter pan, so you will have to purchase one to put inside. 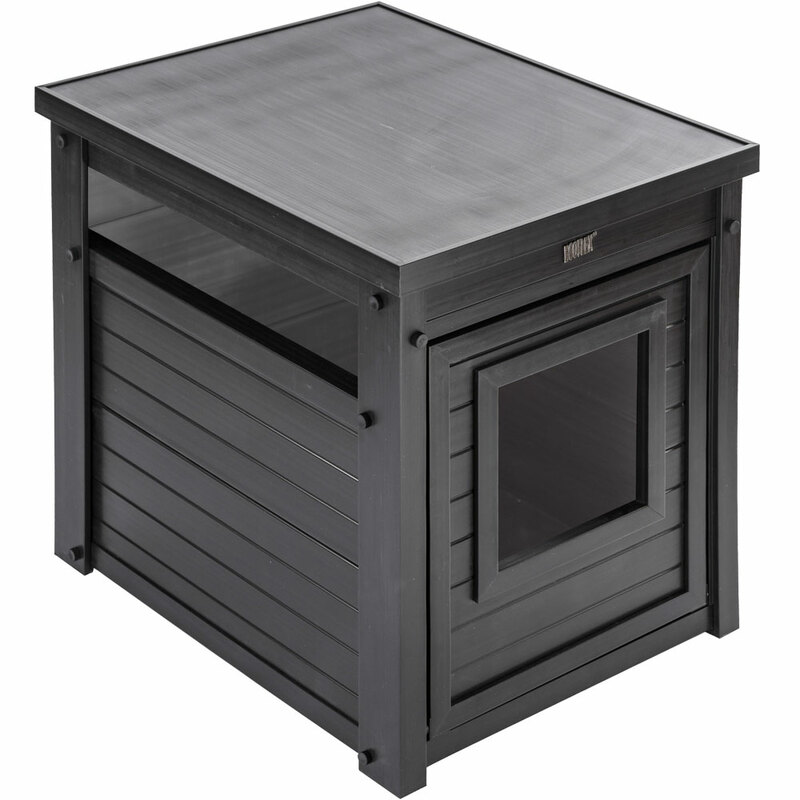 The EcoFlex end table can fit a box at 21 inches in length, 17 inches in width, and 20 inches in height—which is not too difficult to find. A litter box cover acts as a nice little accent inside your home. It contains the box and the mess inside of the table. This way, the litter box isn’t an eyesore and can easily blend in with furniture especially if you are in the market for a new end table and litter box. If you want to go back to basics, then take a look at this huge litter pan. 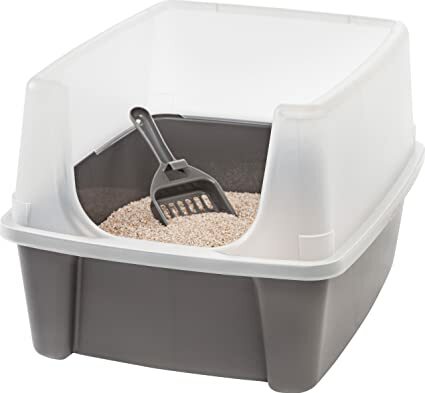 This litter pan is ideal for larger felines who do not like to feel confined when using the litter box and measures at 25.6 inches in length, 19 inches in width, and 10 inches in height. This pan is made with a non-stick material so cleaning will be simple. It also has a low-entry front so that kittens, senior cats, and heavier cats can easily get inside. Of course, the high sides are to help contain the litter when it’s time to dig. Most impressively, it can hold up to 30 pounds of litter, making for less frequent litter changes. And for those who are environmentally self-conscious, this specific box was made with 95 percent pre-consumer recycled plastic! This is at the higher end of the price bracket, so if you are on a budget, you might reconsider looking into a self-cleaning litter box. However, PetSafe’s ScoopFree litter box is a complete life-changer. It is easy to assemble, comes with an optional hood, and does all the scooping for you. A built-in sensor senses when catto is inside of the box and waits 5 minutes until after the cat exits to swoop its metal rake down the pan. This pulls all of the waste into a secret compartment. PetSafe recommends changing the pan once per month, though you may have to do it more regularly if you have a multi-cat household. At the end of the month, you take the barrier off and dispose of the entire pan underneath. Pans are about $15 each and can only be used with the included crystalized litter. There are reusable pans that are cheaper, but you still must purchase the crystal litter. Any other litter will get caught in the rake and may destroy the function of the box. 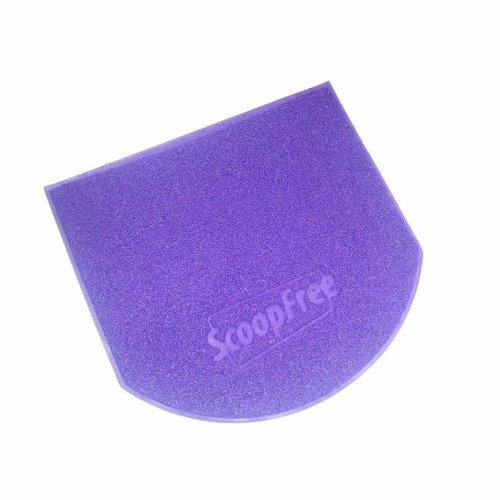 Unlike the ScoopFree box, this self-cleaning box is not electronic or automatic. Instead, it is much larger and has a little deposit hole that you can slide the waste through when you need to clean. Have your garbage ready and simply tilt the box to the right and dump through the hole to clean. This means no more crouching to the floor and scooping. Yes, you read that right! 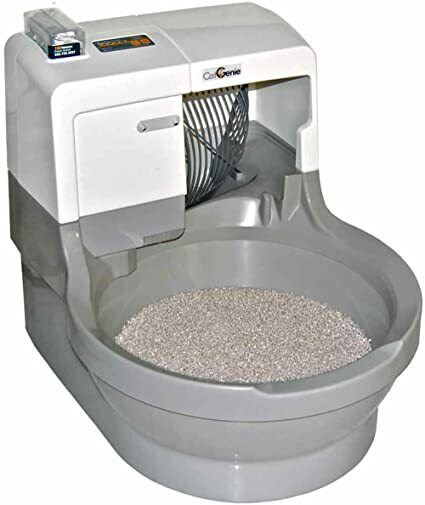 The Omega Paw litter box is quite revolutionary and definitely a game-changer in that respect. There’s no need to spend hundreds of dollars on a self-cleaning litter box so you could get rid of waste and odor easier. It is easy to use and comes with a grill to help separate waste and litter. Sometimes it can miss the waste, so you’ll want to check on it every now and then to make sure the inside is spick-and-span. 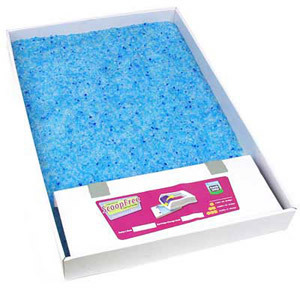 A similar litter box that EntirelyPets has in stock is PetSafe Simply Clean Litter Box. Have you seen Meet the Parents? If so, do you remember Jinxie—Robert DeNiro’s character’s little fur-baby, a Siamese longhair that he toilet-trained? 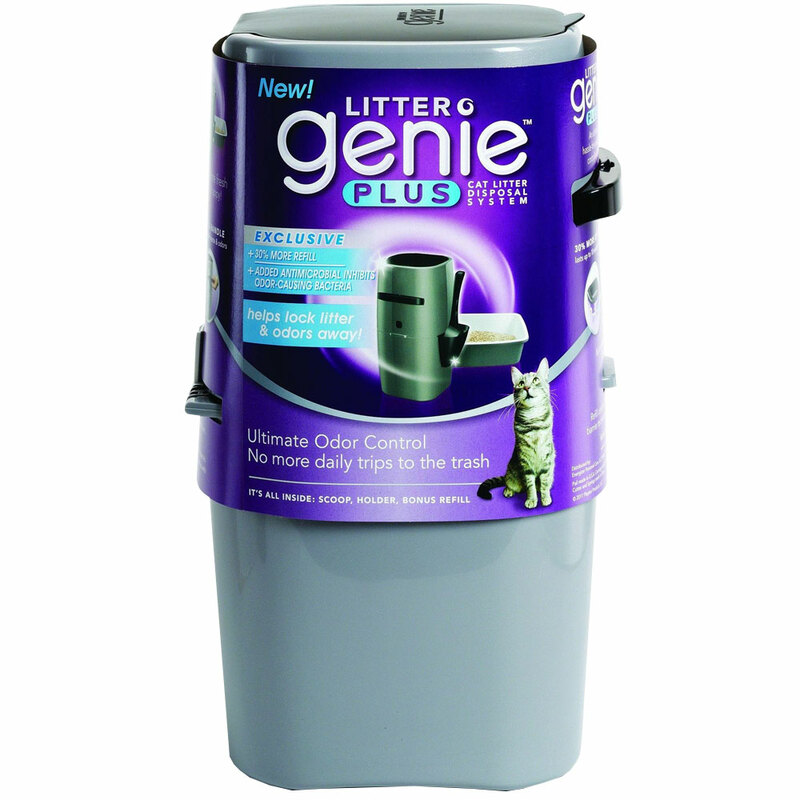 It’s laughable when you think about toilet-training a pet, but for those who are interested in the idea, there is CatGenie’s flushable litter box. This is an automatic litter box and on the pricier end of the spectrum, but it is so high-tech that it’s worth mentioning. If you have a couple hundred $$$ to spare, then you might want to consider the flushable and self-cleaning litter box that actually looks like a toilet. It’s a box that comes with a water supply hose and a drain hose and requires hookup to a cold-water line and an electrical outlet. You also have to purchase the Washable Granules that are recommended by the company for safe flushing. This extra-large litter box is open but comes with a surrounding “shield” to help deter litter from making its way onto the floor. It’s a great solution for those who haven’t yet found a high-enough box. The box is 19 inches long, 15 inches wide, and nearly 12 inches high at its tallest point with the surrounding shield. An iris Open Top with Shield is also polished enough so that waste and litter don’t stick to the tray, making cleaning the box an easier feat. Yes, litter boxes are notoriously smelly. Here are a quick few tips on how to keep the box and the area around the box smelling nice and clean. You could also sprinkle the cat litter with baking soda to absorb some of the smell. Many feline owners find this trick keeps the foul smell at bay! Trust us: litter box shopping doesn’t have to be such a mess. Check out one of these trusted brands and boxes and let us know what you think.